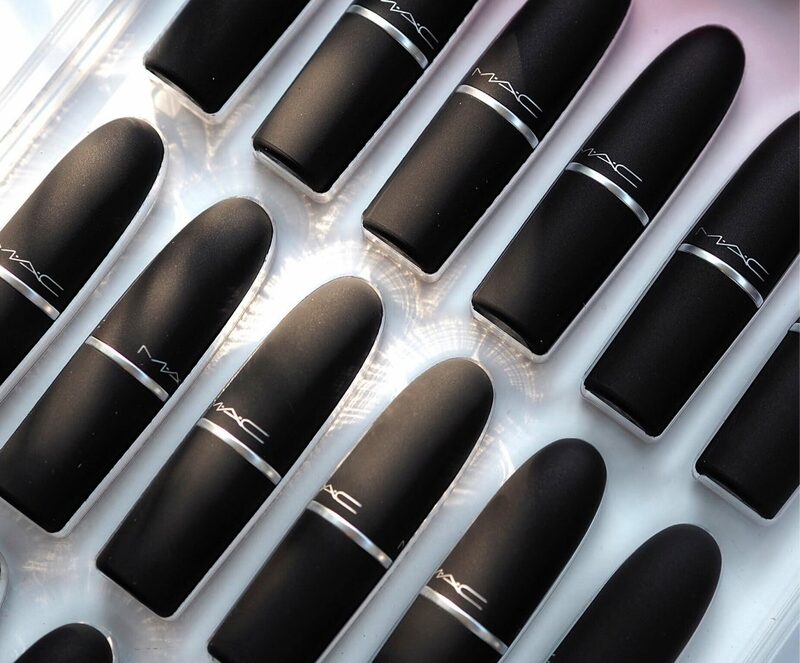 MAC’s new matte lipsticks are totally living up to the hype. 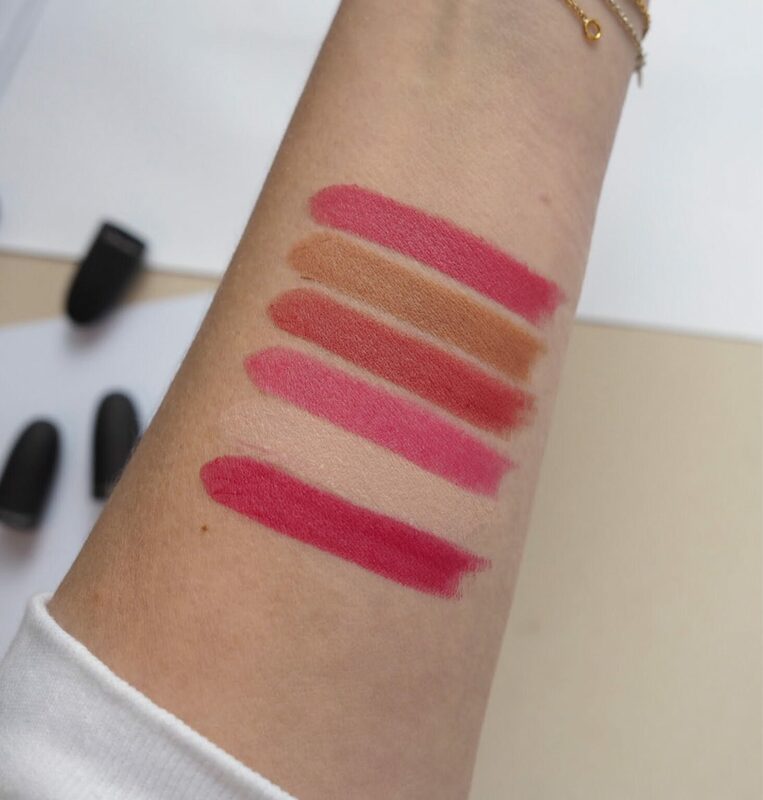 I’ve seen so much excitement about their launch and have been really curious, given the many next-level mattes I’ve seen recently, to know how they’re better than others. MAC describes them as weightless which I think is not quite correct but they’re certainly not heavy, and say that moisture coated powder pigments are what account for the balmy feel. That’s not really a new technology but I have to say, as I sit writing in the third hour of wear, the slip feel and moisture has not dissipated. I guess that it’s all in the recipe – anyone can use powder coated pigments but it’s how you use them within a formula as a whole that makes the difference. I can, hand on heart, say that if you love a matte but need it to be 100% comfort wear, you have it in these. 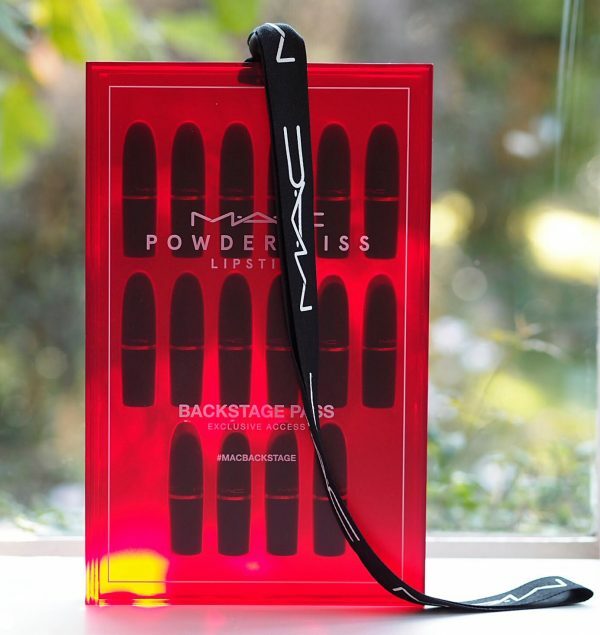 Mattes are my nemesis – my lips start to crinkle just thinking about them and that’s not going to change – but I don’t feel as hostile towards Powder Kiss as many, even though they’ve got a strange, sweet taste. Thankfully, MAC puts the name label on the bottom of the lipstick, not on the lid so there’s no repeat of my Chanel disaster of last week (which I still haven’t had time to rectify). 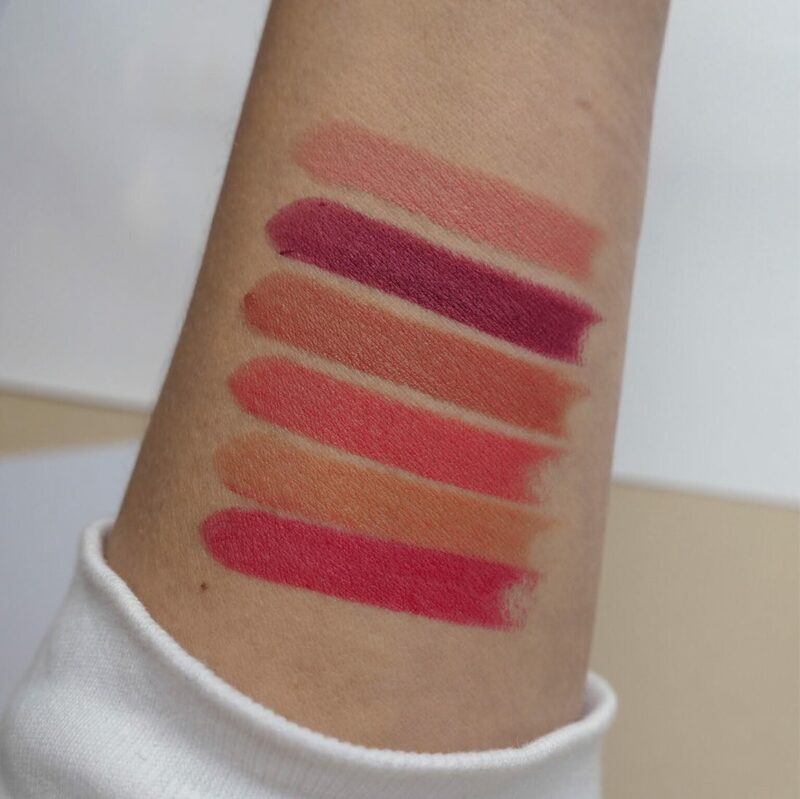 So, left to right: Lasting Passion, My Tweedy, Mandarin O, Mull It Over, Burning Love and Scattered Petals. 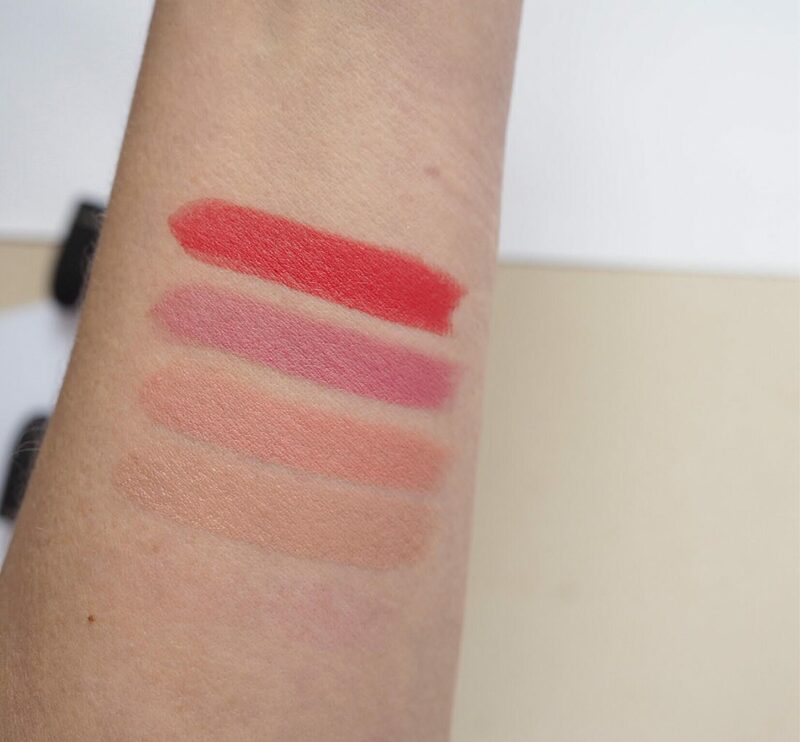 Bottom to top: Lasting Passion, My Tweedy, Mandarin O, Mull It Over, Burning Love and Scattered Petals. 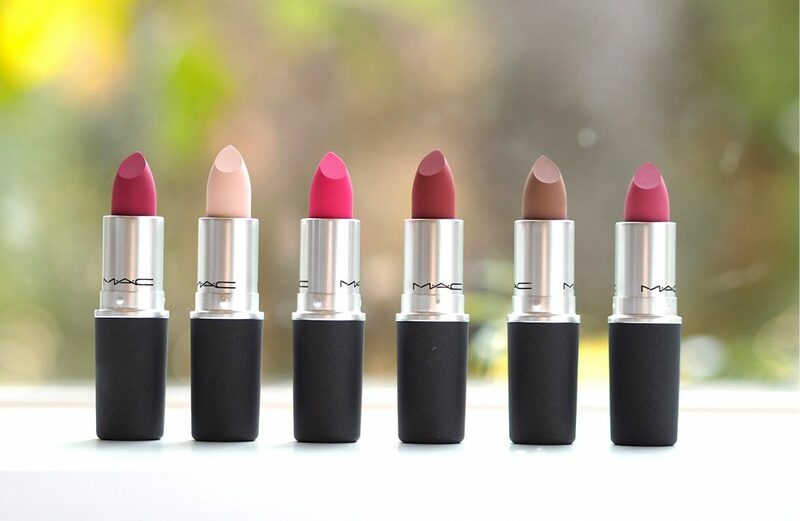 Left to right: Shocking Revelation, Best Of Me, Fall In Love, Devoted To Chili, Impulsive and A Little Tamed. 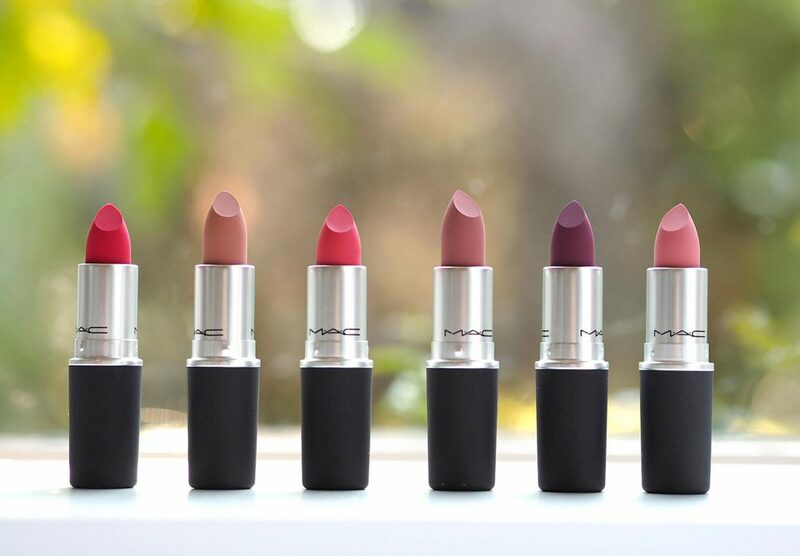 Bottom to top: Shocking Revelation, Best Of Me, Fall In Love, Devoted To Chili, Impulsive and A Little Tamed. Left to right: Influentially It, Sweet No Sugar, Sultriness and Style Shocked. 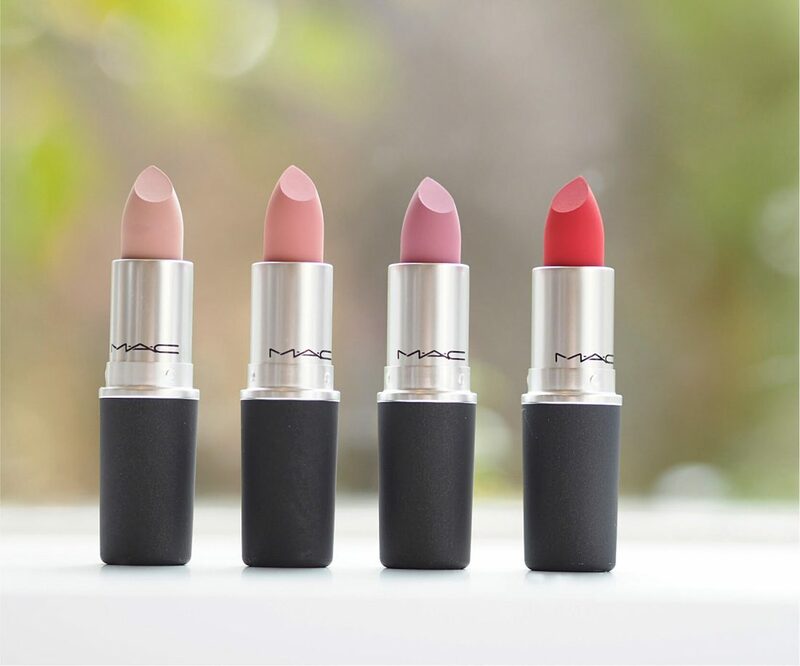 Bottom to top: Influentially It, Sweet No Sugar, Sultriness and Style Shocked. Powder Kiss is great timing – winter isn’t the best time for moisture sucking mattes so a hydrating formula is a key consideration. I don’t say they hydrate exactly, but they don’t dry which is next best and a blessing when the central heating kicks in. They’re £17.50 each HERE.